Welcome and Happy 4th of July! This holiday holds special memories of my childhood. We grew up in small rural towns and that meant town parades, picnics and small time firework displays put on by our local fire department, family get togethers and of course barbecue. We had specific things that our family would have for these delicious cookouts. My mom's famous potato salad, butter sugar corn, fresh picked tomatoes right out of our very own garden and dad always grilled up something whether it be a hamburger or hot dog it always tasted better on the grill. When my grandmother on my dad's side would come, she would spend hours with us little ones making fresh homemade pies and ice cream you would have to churn by hand with rock salt. It took all day and your arms would be tired but it was the best vanilla ice cream you could ever imagine! This month's challenge was dealing with getting our dies under control. Either use it or lose it. 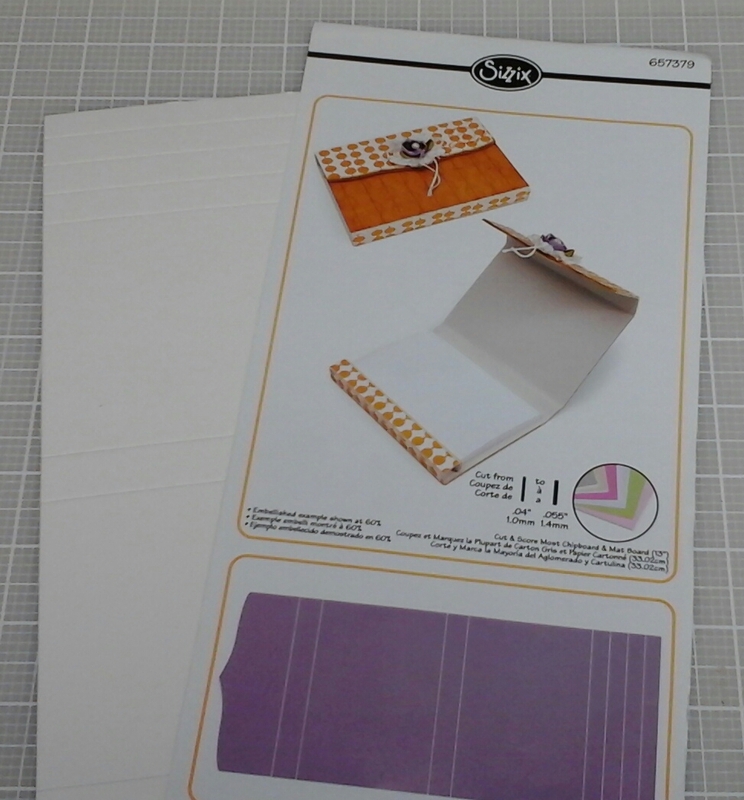 I have had this Eileen Hull for Sizzix die for two years and have just now broken it out of the box. I had this project in mind so with this month's challenge I thought "Perfect!". Family BBQ pictures if you have them. 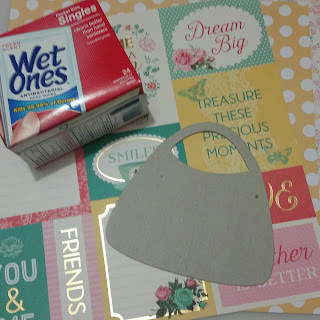 Cut one out of Sizzix Mat board and 2 out of decorative paper. After folding on score lines, line all sides with pattern paper. I used this patriotic themed paper by Melissa Frances. 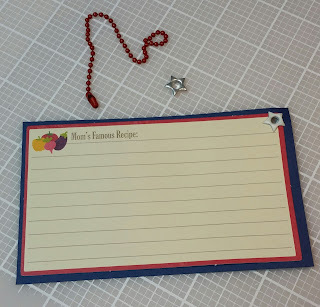 I took cardstock and cut out enough for the recipes I was using and I also printed out some family photos I had to put on the backsides of the index sized cards. 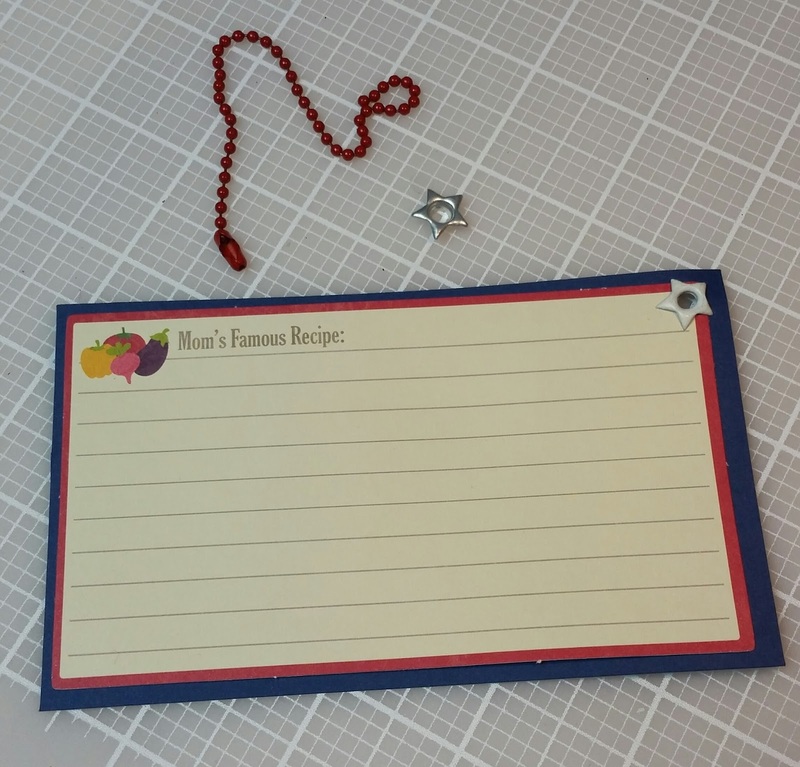 I cut out 3x5 inch cards to intermingle with recipe cards to make this more of a momento. Punch a hole and set an eyelet in the upper right hand corner of each card. I want to thread these on a chain and then onto the index card folder so I can take the recipe I want to use off and keep the integrity of the book. As a closure I tied ribbon and trim around an ouchless hairband, which is the perfect size for this little mini booklet. Add a few charms and you have such a cute closure. 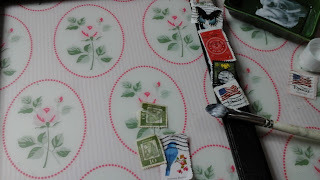 A bingo chip, fair food ticket and other ephemera adorn the front. 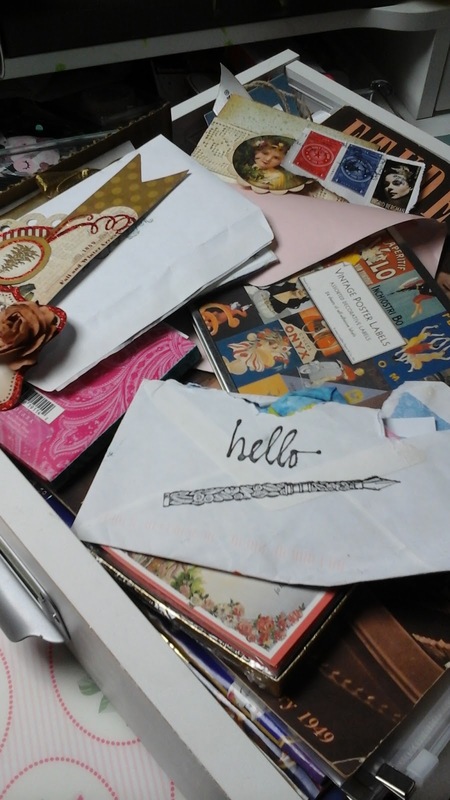 Hello and greetings from under a pile of card stock! Yes, card stock. This month our challenge is to organize our card stock. 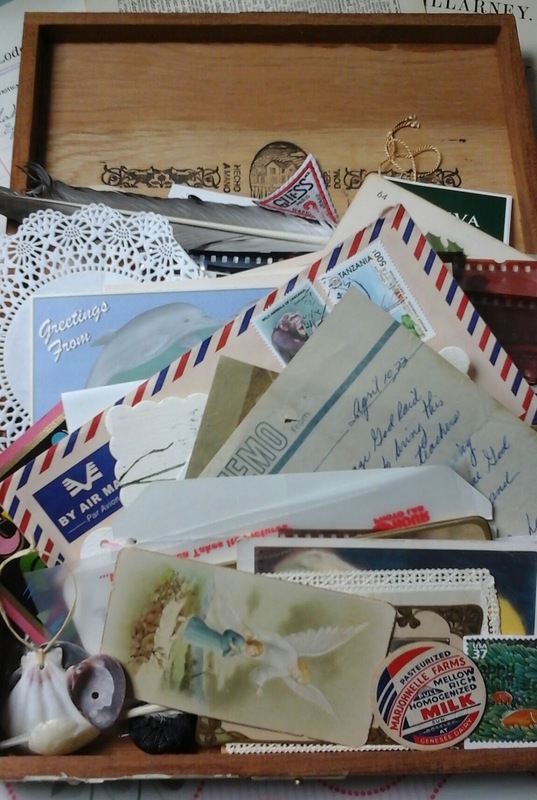 Back in the day when I first started scrapbooking, around 1997 or so, there wasn't much out there for supplies. Not a whole lot of printed paper anyway. I was first introduced to Creative Memories so of course I had to have it all, you never knew if you were going to be able to get it again. Then Bazzill came on the scene and smooth carstock wasn't good enough you had to admire the the texture of Bazzill. 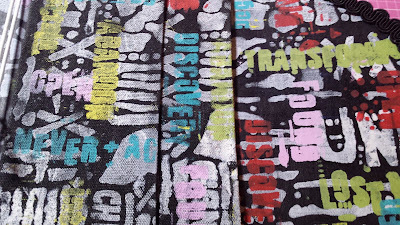 Shortly after Bazzill started designing colors around the patterned paper that was emerging by all the scrapbook companies that were out there in the the 2000's. By the year 2002 there were kit clubs and the kits were full of card stock, to match the kit of course! Then Ebay, oh Ebay (le sigh) You mean you can actually buy card stock in bulk? It was all a downward spiral of collecting just the right shade! One was too light, too dark, too yellow or blue...by now most of you reading this can all agree these might be some of the reasons your card stock supply grew. Organizing card stock is so BORING!!! It is not exciting to look at, touch or even deal with, so I have to pump the jams when I tackle it, LOL. I organize by color now. 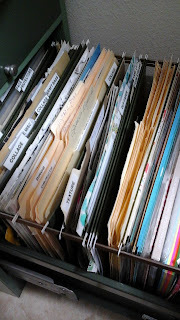 I used to organize by size, texture and color but now I realized that if I want green I am just going to grab for green. The Cropper Hopper 12x12 upright storage boxes really are handy. They look like the old magazine storage boxes but they are clear and bigger. There are many Youtube videos out there for making your own out of large cereal boxes if you cannot afford or cannot access the ones by Cropper Hopper. I used to have a rolling file cart where I would hang my paper but I slowly outgrew it years ago and it went into a garage sale probably. Kit bags that I have not used I left the card stock intact with the kit and labeled the bag for what project I want to use it for. 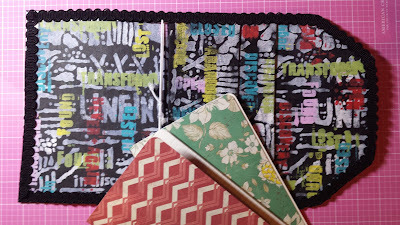 My planner obsession is really eating away at my cardstock because I have been making tons of cute paper clips on the Cricut, oh and cutting out shapes as faux-phemera for Project Life and Pocket Letters. 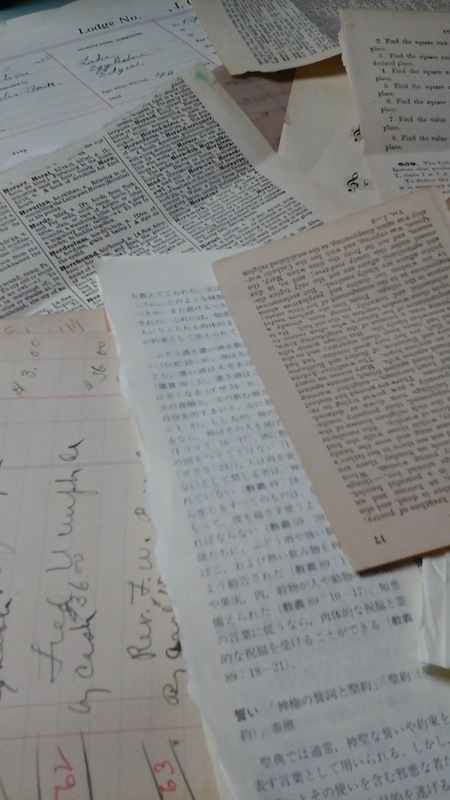 I have been cutting out numbers for my Listersgottalist books too. 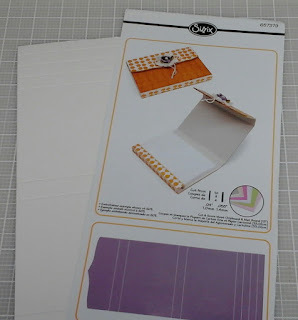 Make a list of ways you can use up your card stock. Hopefully some of the ideas I have listed will get you started. There are a few things I want to accomplish this year, one of which is to finish up on some online classes that I started or paid for and never took or finished. Online card classes over at www.onlinecardclasses.com is one of them. This month I want to get organized so that when it is too hot to go outside this summer I will come in and cool off and make a few cards. To assist in organizing for the class I am using a vintage bill holder to create a card station. I had an antique toast holder but I can't seem to find it but I wanted you to know that will work also for this project. began researching card sizes and started cutting down odds and end sized card stock I had for matting and card backs. I also cut down some in bookmark size and Project Life card sizes. I put a few envelopes that I will want to stamp to coordinate with my card in the bill holder and I found a brass stamp roll holder at a thrift store so they will be conveniently near by. My address book and a tray to corral it all in complete the station. Cute huh? So go ahead, don't feel overwhelmed by the stacks you might have let's come clean and use it or lose it!! 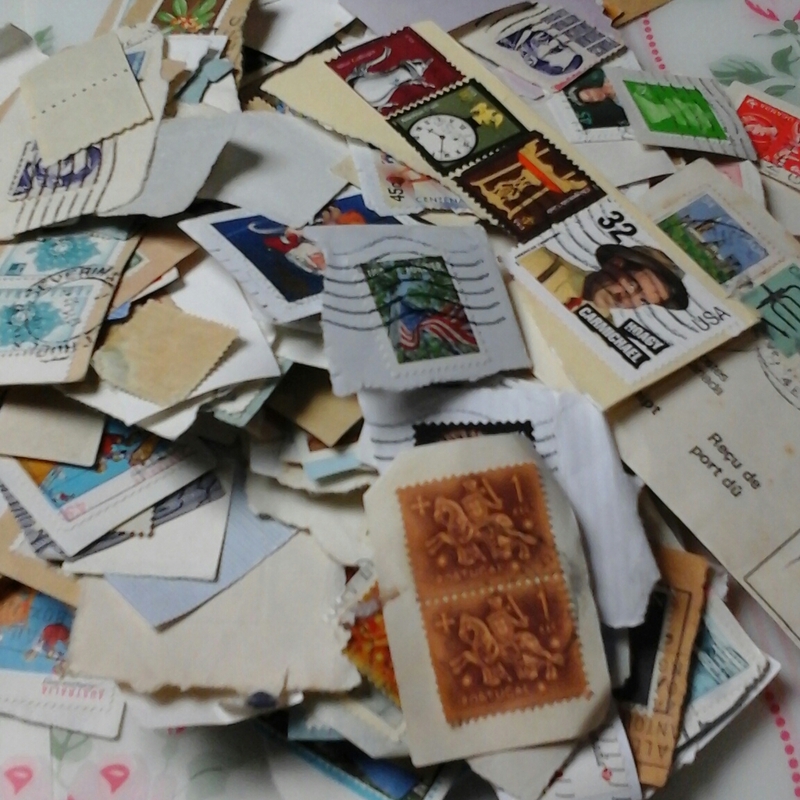 This month we are tackling ephemera. It could be vintage or what my sister so lovingly calls fauxphemra. As crafters and artists we all have it and mine I noticed has crept into other rooms! I love finding a box of unwanted letters from the 1800's or old menus, the smell, the language, the beautiful old handwriting, so lovely. This project deals with postage stamps. Here are a few items you will need to make what I will call the Happy Mail Frame. First disassemble frame. Use glass to trace cork then discard glass. 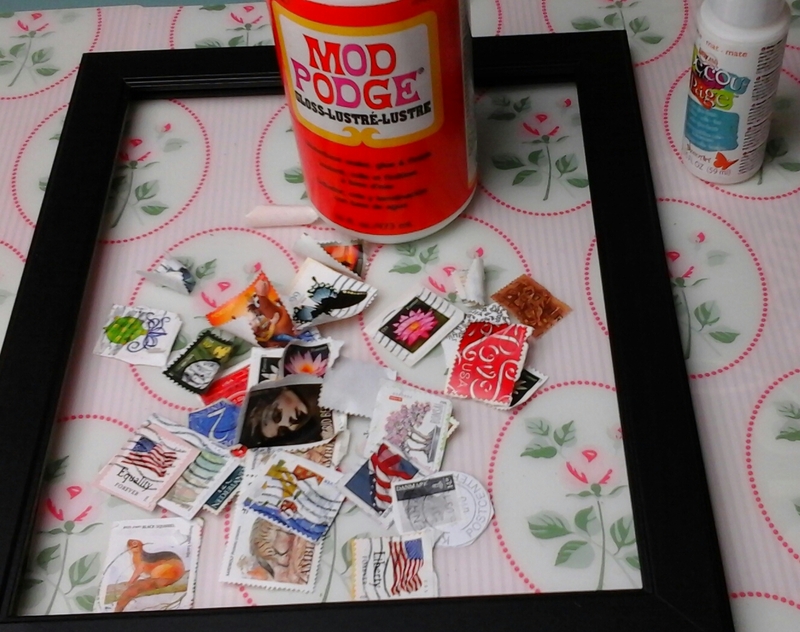 Modpodge stamps on frame first adhere it to frame then coat it with a top coat of Modpodge. Assemble frame putting cork in and glue a clip toward the top. 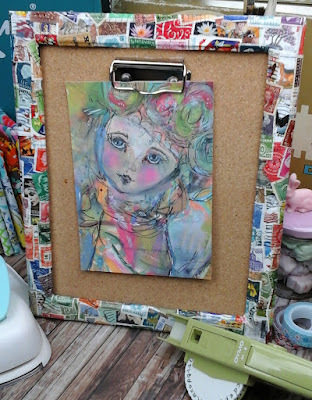 This will allow you to use clip for hanging a piece of art a friend may have sent. 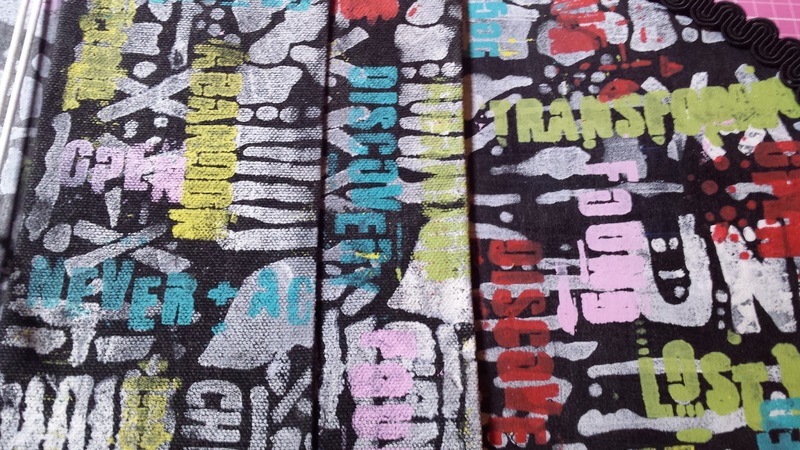 You can also make one and send a piece of your own artwork on the clip to a friend as a gift. This can be done using any ephemera. Try sheet music, book paper, old maps, letters, buttons and coins, it's a great way to use up all those little things sitting in a drawer or box. I hope you are joining us over on our Facebook page ScrappyCamperSisters Come Clean 2016 Group page, for more challenges, ideas and sharing the process. Due to technical difficulties I am sad to say we will not be streaming Saturday, March 5th. We will announce when we will be streaming the March project. Follow us on www.ustream.tv/channel/scrappycampersisters for our live classes. Hi, everyone! 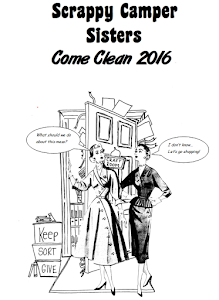 Saturday is our regular Ustream show where we will be showing the first project for 2016 and talk about our Come Clean 2016 initiative. We are going to spend the year with our friends, destashing, organizing and creating. Join our Facebook group if you would like to play along. For the last show, I made a Purse-Dori, a journal styled like a Midori Traveler's Notebook that looks like a mid-century clutch purse. It holds Moleskine Cahier size books and is so cute! The project worksheet is up and you can download it for free HERE. I also finished the one that is going to the winner, "NotThatMartha" on Ustream. Here are a few photos below. 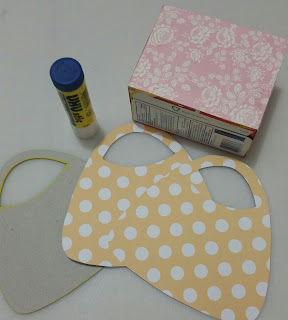 The inside is Kraft Tex painted black and stenciled with Seth Apter stencils from Stencil Girl. I love how it looks like graffiti. I found that the best material to use for this was adhesive vinyl. Silhouette makes a good one and you can get also find sparkle vinyl where I did HERE. The black bag above was made using the Silhouette vinyl and it looks like patent leather. I hope you will make one and check us out on our Ustream show, Saturday Jan. 2 at 10:00 a.m. EST. Johnna is launching us off with the first show of the new year. See you then! 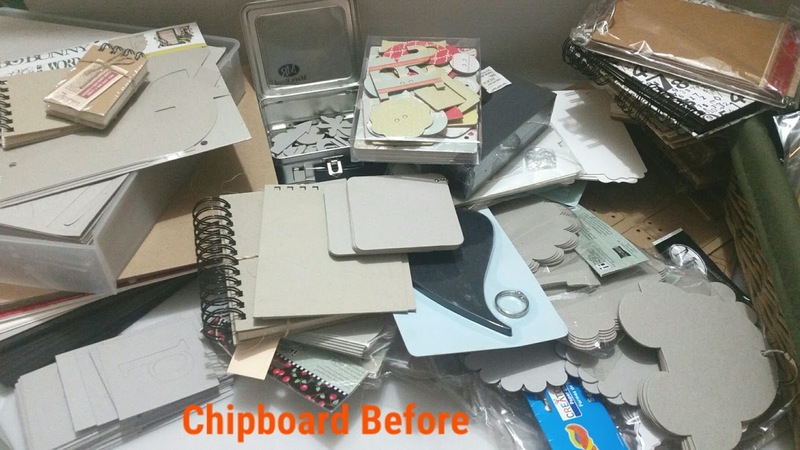 This month's challenge is CHIPBOARD. 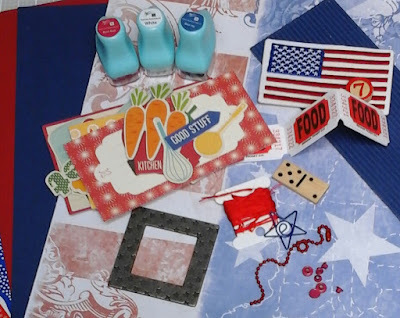 This category includes shapes, mini albums, sheets of chipboard, cereal box, alphabets and anything chipboard that you are saving to alter one day. Get your 3 boxes ready, Toss, Keep, Donate. If you can, set up a table other than your desk so you have a landing spot. Set your timer for 30 min. Quickly make a sweep through your space grabbing any chipboard you can see, don't think about it, just take it and set it on that table. Take a photo like mine if you want. Next, you will want to start your process. The process is in the printable so I won't repeat it here. Once you decide what you want to keep, now think about what you have or need that you can store it in and put it away. This is how I stored mine after I went through it. I really was amazed by how much I had and at first overwhelmed but then I realized I don't ever use it and I have had it for years. So I really purged as you can see. So in this case I chose to Lose it instead of Use it. 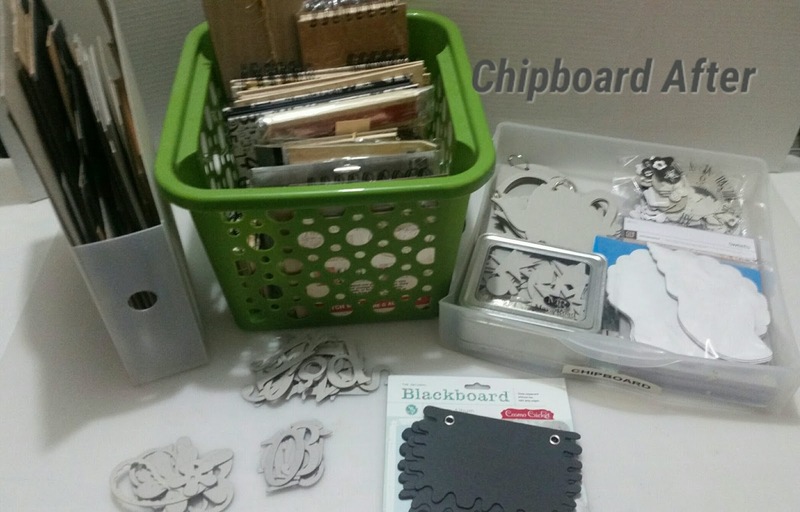 I put the chipboard scraps (I use these for binding mini albums) in a 8x10 paper holder. The mini albums I limited myself to a small bin, I think I saved roughly 12. The blackboard shaped album I thought would be cool to use as a texture comb on a gelli plate (new ways of using an old product) and one Iris drawer with various shapes and alphabets. I kept 4 shaped albums to use for the Bonus Project this month. Use your Alpha Chipboard and let's mono print a tote bag, Yes! I said "Tote Bag, Darcie LOL". This will be the tote bag that will hang on a hook so you can see it on the way out the door. Just when you think "20 minutes a day is not enough time to get things done so why bother? " but it adds up. (Math alert) If you take 20 min a day to clean out a drawer, a shelf , a box you will have, at the end of a year, spent approx 120 hrs decluttering your craft room! Just think of how much you will have done!! So set those timers girls and get going because it really will make a difference. This is a great little project using all those shaped mini albums you probably have. Gather supplies. 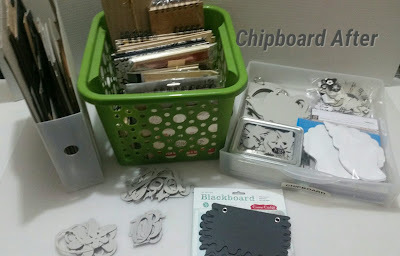 For this you will need a small box of any kind or you can make your own out of chipboard. A chipboard mini album piece. 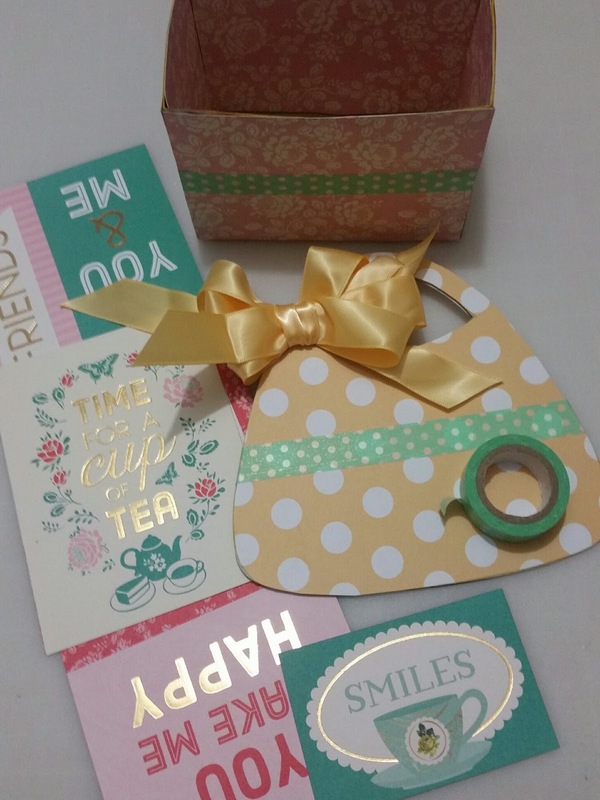 Some scrapbook paper, adhesive, ribbon and embellishments. Trace around shape and box onto patterned paper. Take some washi and wrap around purse and box. 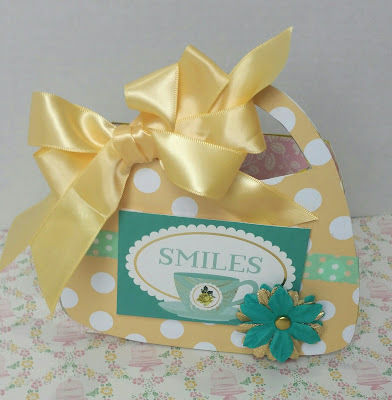 Add a bow on the handle and a sentiment or your guest's name. 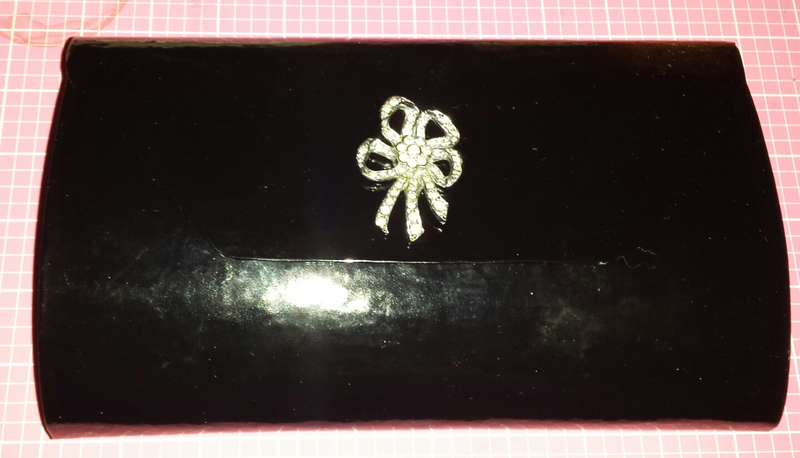 Adhere purse onto front of box. Glue a flower on it if you wish and you now have a cute little gift box or place card holder. These are so cute for a birthday party, bridal shower or baby shower. Super quick and super easy.